Faith is a multifaceted grace – and each are given a measure of faith. God is both the Founder of my faith and the Finisher of my faith. 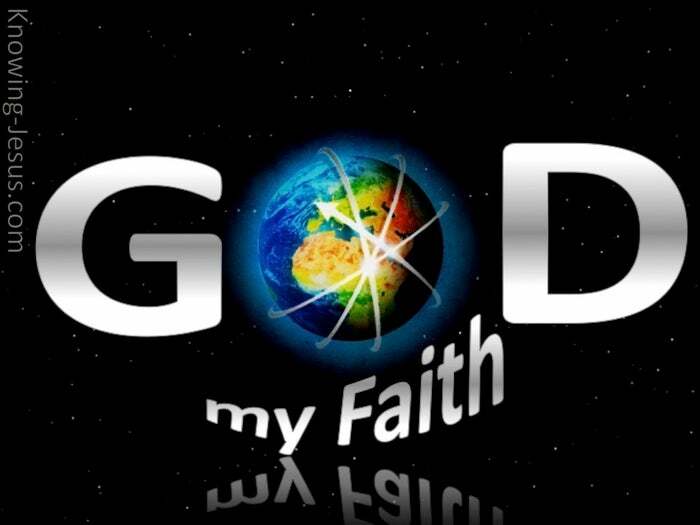 But God is also the Object of my faith – the One in Whom I place my trust. It was the Lord Who gave me my faith, when He stooped low to love me. It was He Who intended me to keep on seeking Him, by means of His gift of faith. But faith must grow.. and faith must develop… and developing faith must grow. And developing, growing faith, does not come by sight or signs or miracles. 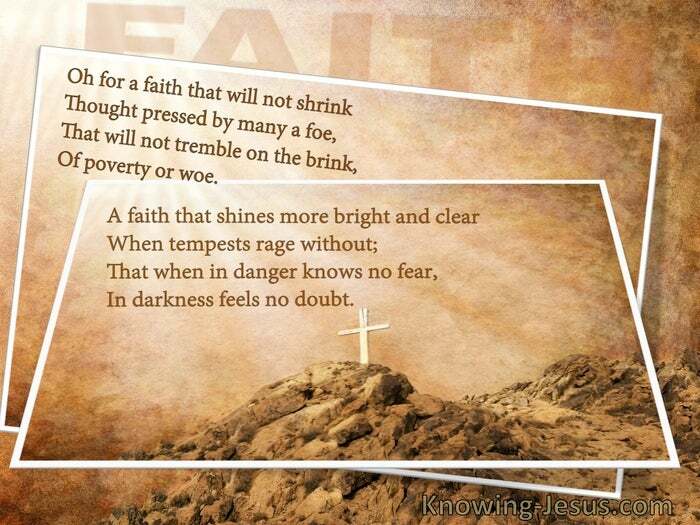 And faith must not falter when difficulties and problems arise in my life. The initial faith is given to us by God.. and faith comes by hearing the Word of God.. but the faith of a new-born believer can remain for a life-time in its infant state. Faith, like all living things, needs to grow, develop and mature. Sanctifying faith is also given to us by God – to enable us to grow in the faith – and maturing, growing faith comes by hearing the Word of God. And faith needs to be exercised daily to enable growth of faith… but this maturing faith of all believers is also from God and not of us… for faith comes by hearing – and hearing from the Word of God! But how do you exercise your faith, I hear you say.. Well, life is full of choices. I can choose to allow my faith to be exercised or not. I can choose to trust His Word or blame Him for life’s difficult circumstances. I can choose to take responsibility for my action, or blame God for my choices. I can choose to accept His ‘boot-camp‘ training – or kick against the pricks. I can invite Him to examine my inner-self so as to identify areas that need His scalpel. I can further invite Him to root out all areas within me that are displeasing to Him. I can permit Him to identify blockages in me, that prevent me from living as He wills – and I can allow Him to search deep within – to heal all hurts that I hide from others. I can choose to admit my mistakes – or I can blame my shortcomings on others – or even on God. It is only as I am prepared to decrease and allow the Lord to increase in my life, that faith in self will be gradually replaced by faith in Christ – and the faith in which I live.. in ME – will be the faith I live.. in Christ – until it is no longer I that live but Christ Who lives in me.